There are a large number of businesses that never backup data. Only 23% of SMBs are backing up their data daily, and only 50% are doing it weekly. A number of issues can result in loss of data. You should backup data every day. Don’t find out accidently that your backup system is not working properly. By then it could be too late. It may seem like your data is being backed up normally, but check frequently if it is backing up the way it should be. In this age of BYOD make sure all employees are also following procedures to backup data on their laptops, iPads, etc. We now know IT system failures have very serious consequences for SMBs. We also know that they can avoid such failures by being proactive. Many SMBs are now turning to cloud-based services and virtualized backup solutions to mitigate downtimes and network failures. Virtualization and cloud computing have enabled cost-efficient business continuity by allowing entire servers to be grouped into one software bundle or virtual server – this includes all data, operating systems, applications, and patches. 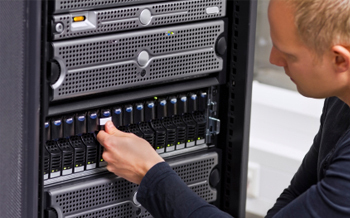 This simplifies the backup process and allows for quick data restoration when needed.